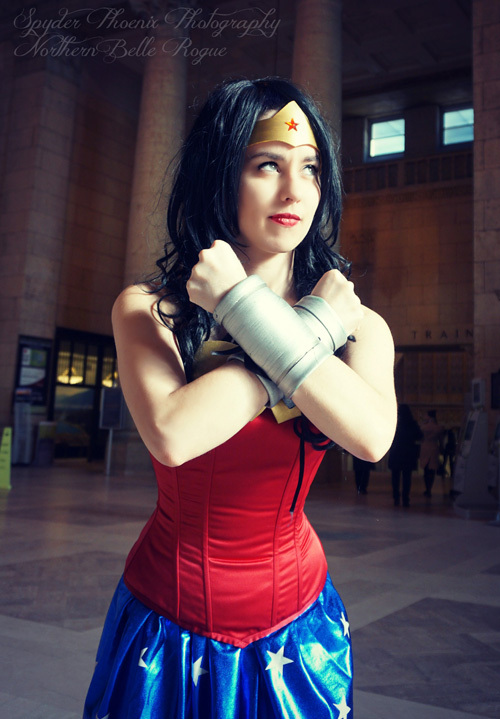 "Wonder Woman (WW) is one of, if not the most iconic female superhero in existence. 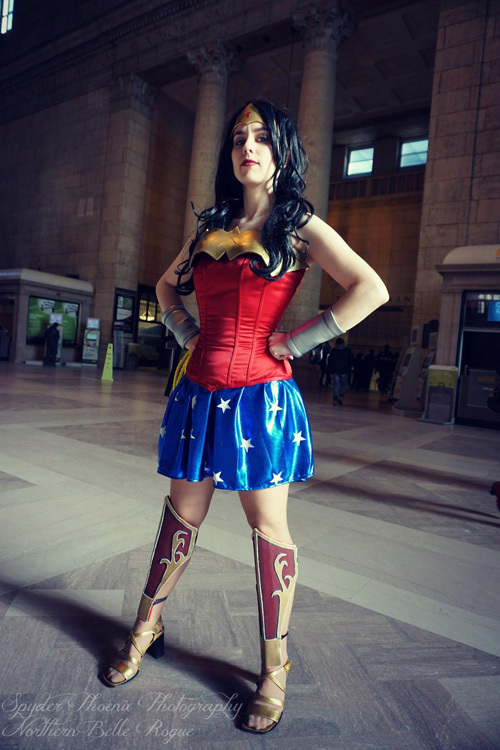 A Goddess, Hero & Queen, this character has been on my cosplay bucket list for some time. However now that I've worn her once, I think I'm addicted. 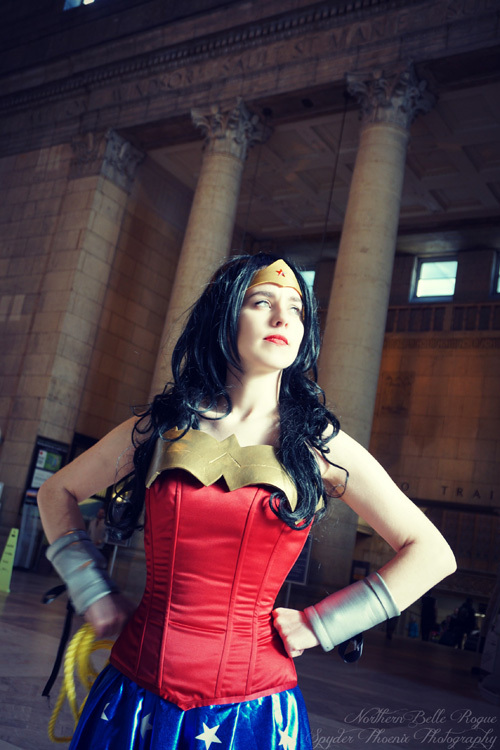 Being Wonder Woman was an incredible experience that far surpassed most cosplays I've worn. Debuted at Toronto Comicon 2015, I watched faces light up on both children and adults alike. Perhaps the most adorable moment was when a little Supergirl of no more than three ran into my arms, and we even caught it on film which you can see here. (Skip to 2:01 for the DC D'aww moment). 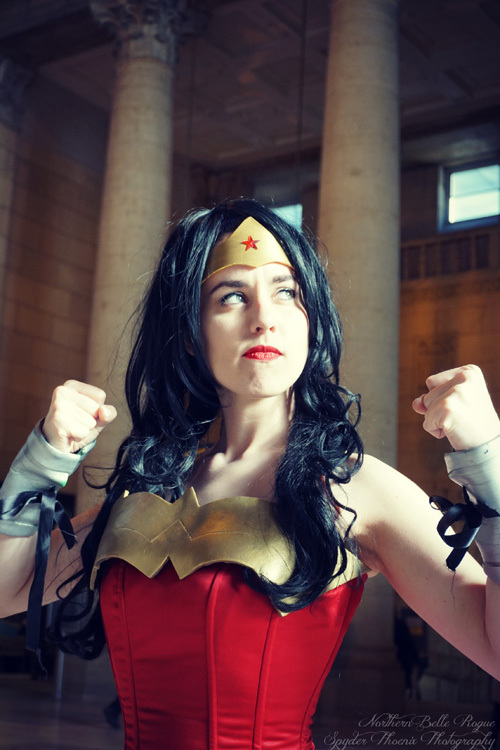 This particular costume was based on a combination of WW incarnations and materials came from a myriad of places. The corset was made by the amazing Gearpunk'd, the bracers and leg guards were originally part of GG Shelle-chii's Ame-Comi WW cosplay. Of course I owe big thanks to Cajun Cosplay for helping me with the final touches and for photographing this set. I cannot wait to don this character again, but in the mean time I hope you enjoy the set!"